To ensure the quality and consistency of food and beverage products as well as compliance with weights and measures regulations, final products such as powders and granules are often screened to remove oversize contamination. Coffee is the second most traded commodity on the planet (behind crude oil) and, with producers of coffee products under constant pressure from competition, safeguarding product quality is imperative. Following the dehydration and granulation of spray- or freeze-dried instant coffee granules, vibratory screeners are used to ensure the consistency of the coffee granules, removing oversize contamination and achieving a consistent granule size for packaging. 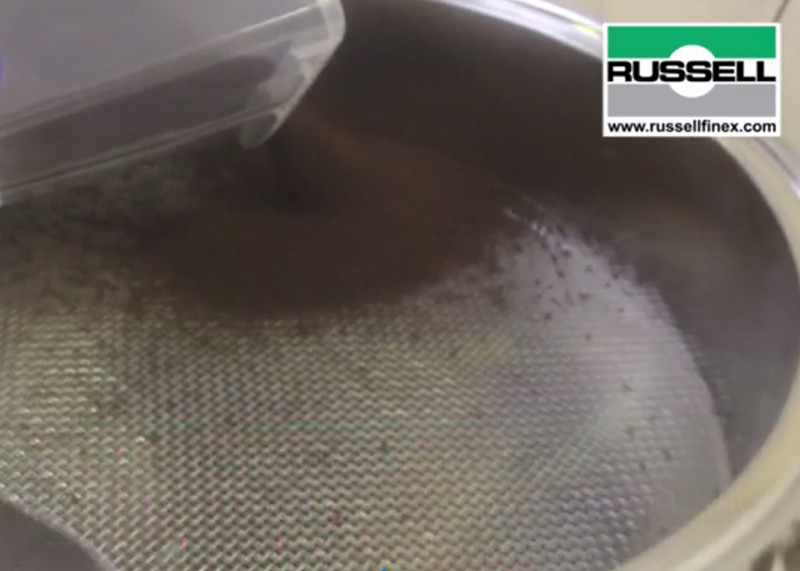 In this demonstration video, spray-dried granules are check-screened using the Russell Compact Sieve®. This industrial sieve for coffee granules removes all oversized contamination and is ideal for high-capacity safety screening of food and beverage powders and granulates. The oversized material is removed, whilst only the granules of the desired size pass through the mesh, and are collected for packaging. This range of vibrating screening machines for coffee granules and other food products is available in a variety of sizes and configurations, fitting neatly into existing production lines, and providing considerable sieving capacity without the need for excessive headroom. Available in a sanitary fully-stainless steel design, the Russell Compact Sieve® provides the perfect solution for food and beverage processing and are easy to strip down and clean without tools, and customizable to meet unique customer requirements. Contact Russell Finex today to discuss your powder or granule check-screening requirements, or discover a range of separation solutions for food and beverage applications.